Imagine a disease that cripples and blinds the infected after a few short years. A disease that affects mostly young adults and has no affordable treatment available. This disease is a reality for urban slum citizens, in the form of type-2 diabetes mellitus. In 2013, diabetes caused 5.1 million deaths globally. Often referred to as a "disease of the wealthy," diabetes is anything but, with the majority of diabetics living in low- and middle-income communities. In developed economies, it is easy to take for granted the luxury of easy access to diabetes treatment and care. However, this reality for a lucky few is not the reality for over 74 million urban slum dwellers around the world living with diabetes. In low-income areas, diabetes is rarely detected until it has progressed to late stages, often leading to hypertension, stroke, blindness and kidney failure. And many of these individuals are doubly burdened: diabetes not only decreases productivity and an individual's ability to earn an income, but it also places a strain on a family's existing income. This forces the sick to forego beneficial expenditures such as education and healthy food, resulting in a vicious cycle of poverty and illness. The knowledge of this core issue, combined with the opportunity provided by the Hult Challenge prompted the creation of REACH Diagnostics, a social enterprise focused on providing early diagnostic tools to urban slum citizens around the world. 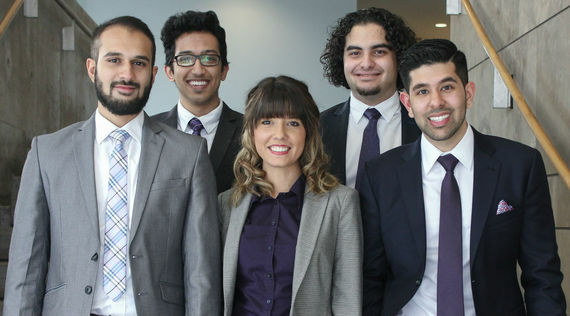 Established by five undergraduate business students from the Schulich School of Business, REACH Diagnostics has an ambitious goal: to touch the lives of 25 million urban slum citizens by 2019. Although we are pursuing degrees in business administration, the REACH team has a wealth of experience in social enterprise -- a number of us have worked for, or founded, nonprofit organizations, and our travels have taken us from Iraq to Cambodia in the pursuit of social good. We sought after a model that would not only achieve the necessary scalability to reach more than 25 million people, but one that would empower those living with the condition to improve their outlook. After weeks of creative tension, a fundamental insight emerged: given the strong focus on community and wariness of outside influence in many urban slums, the best spokesperson for the horrors of undiagnosed diabetes are those who suffer from the disease themselves. 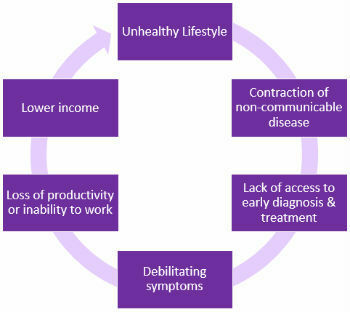 By providing diabetic slum citizens with basic entrepreneurial education and supplying them with screening tests at a nominal price, they would then have the capacity to resell them to their family, friends, and neighbors, while spreading awareness about the disease and earning supplemental income to support their own treatment. The beauty of our model lies in its simplicity. It is sensitive to the traditional societal constructs present in each community, latches on to their informal systems of distribution, and requires only the most basic of technologies to operate. As a result, it is immediately scalable and adaptable, and empowers those suffering to help others while helping themselves. Ultimately, our aim is to break the cycle of poverty that keeps the ill from managing their condition. This process has taught us a great deal about our role as global citizens. Just months ago, the notion of creating a social initiative that would affect the lives of millions across the planet seemed inconceivable to even the most ambitious among us. Settled into corporate career paths in consulting, accounting, and marketing that we each swore we wouldn't end up in, all seemed to be on track for the ordinary. In late 2013, however, we made the commitment to pursue the extraordinary. With every day of work on REACH comes the strengthened belief that we are capable of changing the world for the better. Healthcare equality is a lofty goal, but it begins with a basic principle: by empowering those capable of making a difference in their communities, our reach is boundless.